GloryBee's Wildflower Honey Bear is sourced from one of the most diverse regions of the country. Sprawling meadows in the lower Cascade Mountains throughout the Western States provide an incredible variety of flowers for bees to pollinate producing honey with a rich, floral flavor that varies from season to season. Our Wildflower Honey Bear is a polyfloral varietal, which means many types of nectar were collected by honeybees to produce it. The flavor of wildflower honey depends on which remote mountain wildflowers are in bloom while the bees forage. 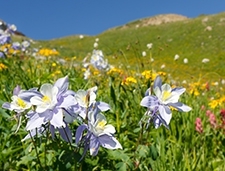 Throughout the season some of those wildflowers may include vivid Lupine, abundant California Poppy, reliable Black-Eyed Susan, spectacular Columbine, lush Mountain Phlox, and many more. The convenient squeezable bear container make it easy-to-pour. Made with BPA-free plastic, the container is also reusable which reduces waste. 1% of sales from this honey is donated to SAVE the BEE® which helps support honey bee research and the issue of colony collapse disorder (CCD). 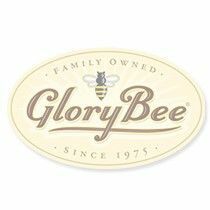 Certified kosher and gluten-free, GloryBee's Wildflower Blossom Honey Bear is honey you can feel good about eating and sharing with your friends and family. Wildflower Honey tends to vary in amber color. Like most darker varieties of honey, it can contain more minerals than lighter varieties. This honey is preferred by professional bakers for the pronounced floral flavor and aroma it brings to recipes.